If you are looking for an emergency plumber to visit your home or workplace, to clear a blocked toilet, shower, blocked sink or bath, then Drain Detectives can definitely help. You really need a specialist drainage company to clear any blockages, as a regular plumber may not have the necessary equipment such as a high-pressure water jetter. We can send an emergency plumber to clear a blocked toilet or sink at your property, 24 hours a day, 365 days a year. Call 0800 357 9371 or email info@draindetectives.co.uk. How do you keep the emergency plumber away? Only three things should ever go down the toilet, pee, poo and paper. So no to wipes, sanitary products, cotton buds. Grease, fat and food leftovers will block your sink. Give plates a good scrape before they go in the sink or dishwasher. Soap and hair will gradually block the sink. If you see lots of hair in the plug hole, don't poke it through, take it out. Why not attempt to clear a blocked toilet yourself? If you have good knowledge of the drainage system in your home and all the necessary equipment, then clearing a blocked toilet could well be a cheaper and quicker solution. However, if you are thinking of using a chemical drain cleaner, as well as having limited use, they can be hazardous to your eyes, skin, throat, the pipework and environment. Drain rods bought from a DIY store are not the same as those used by our plumbers and are prone to coming apart, making what should be a simple blocked toilet a lot worse. Our emergency plumbers offer a fast response to clear blocked toilets, sinks or baths, 24 hrs a day, 365 days a year. Call 0800 357 9371 or email info@draindetectives.co.uk. What problems can our emergency plumber help you with? If you are not sure if one of our emergency plumbers can help, give us a call on 0800 357 9371 for free expert advice. 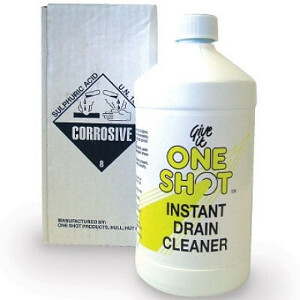 Why should you use a Drain Detectives emergency plumber? Someone will always be there to answer the phone, so whatever the plumbing emergency, our local plumbers can come to your rescue. We are pleased to offer all of our customers a one month guarantee on plumbing work when we have cleared a blocked toilet or sink. Drain Detectives aim to give the best value for money price for plumbing work, with fixed prices offered to customers wherever possible. Not sure where to start? Call our friendly office and an experienced plumber will advise you on the best way to fix your plumbing problems. Whether you have a blocked kitchen sink in a small terraced house or have blocked toilets in a large fast food restaurant, we can assist. We are proud to be members of checkatrade. We ask all of our customers to leave reviews of our work when we do plumbing work. What areas of South East England do our emergency plumbers cover? Our engineers clear blocked toilets, baths, sinks and showers throughout the South East of England including Kent, Surrey, South London, West Sussex and East Sussex, from Medway across to Bromley, Croydon over to Woking, and Streatham down to Burgess Hill. If your home or workplace is in need of an emergency plumber, you have come to the right place. Call our friendly office on 0800 357 9371 today for expert advice and a FREE no-obligation quote!